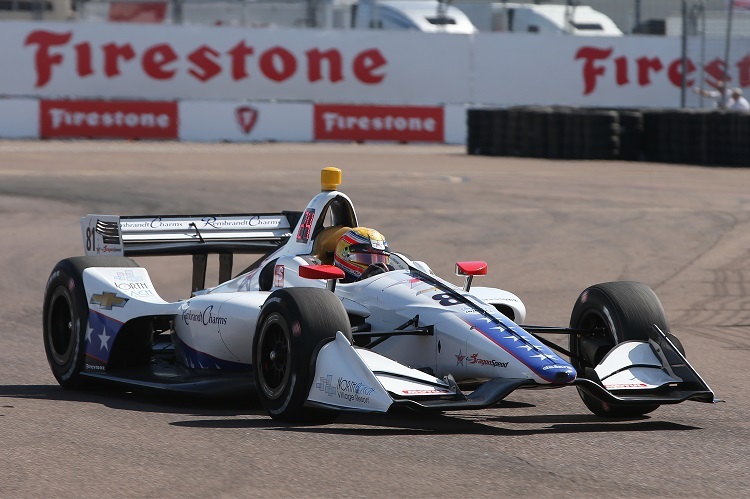 Globetrotting sportscar racing team DragonSpeed launched its 2019 NTT IndyCar Series program with a solid finish in the season-opening Firestone Grand Prix of St Petersburg. On his IndyCar debut and first single-seater race since 2010, British driver Ben Hanley claimed 18th place with a steady run, rewarding three weeks of intense effort by the DragonSpeed crew since taking delivery of its Dallara IR18-Chevrolet machine. After each of its three practice sessions were cut short by technical issues, the 2019 Rolex 24 LMP2 class winners’ luck turned in qualifying. The team’s eagerness to try out the softer red-sidewalled Firestone tires allowed Hanley to set a fast time on his first flying lap before the session was interrupted by the first of two red flags, securing a surprise 12th starting slot on the 24-car grid. The race was less dramatic, with Hanley running as high as eighth and 12th at various stages; leading entries from the Foyt, Coyne, and Carpenter teams before his first pit stop; and reeling off a notably consistent series of laps in the mid-1m03s range during his final stint. The result also netted 12 championship points for the Elton Julian-led squad. After contesting next weekend’s 1000 Miles of Sebring round of the FIA World Endurance Championship with its regular LMP1 and LMP2 entries, DragonSpeed’s next IndyCar outing will be at Alabama’s Barber Motorsports Park on 4-6 April. The Indianapolis 500, Road America, and Mid-Ohio will complete the team’s IndyCar 2019 pilot program as it seeks backing for a full season in 2020.